After the recent launch of its unique initiative #NowRolling, craft beer brand Witlinger takes another step forward by engaging with The Grub Fest- Delhi’s biggest food festival as official Pouring Partner. The 3-day event will be taking place at JLN Stadium, New Delhi starting from 17th-19th March 2017. The brand endeavours to create a larger-than-life experience for its customers through youth-centric initiatives. 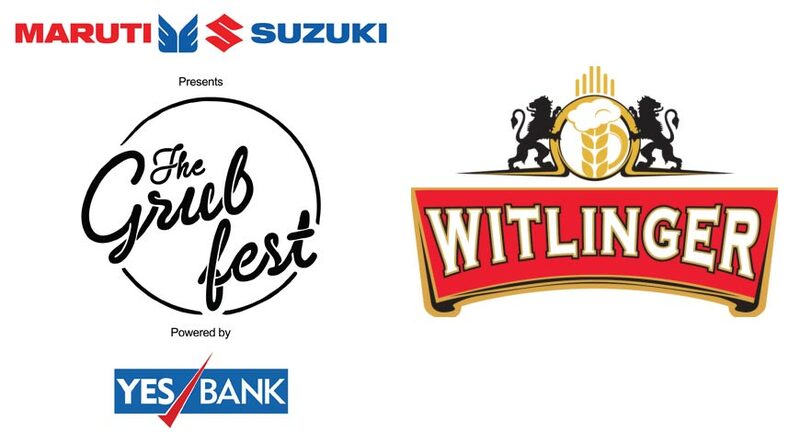 Thus, in its effort to reach out to beer loving audience of the country, Witlinger has created this partnership with ‘The Grub Fest’ to create awareness and enhance consumer experience. Beer drinking is a culture which is growing belligerently and Witlinger, has made a great impact in the Indian market by bring up the Lager and Wheat beer options, which is making a great impact in the flavors enhancement. Craft beer has stormed the global beer market and it is catching up the taste buds of Indian consumers swiftly. This initiative is a head-on move from Witlinger, to create an awareness of craft beer, which is pacing amongst the youth, who believes in experiencing the new flavors and different genres of beer. The Grub Fest is India's biggest food festival with the best restaurants displaying their signature delicacies over some good music and performances to keep you entertained. The fest gives you the chance to experience wide range of interesting cuisines at one place, fill your baskets with unique gourmet products. This time, apart from the best of restaurants, artists and chefs, this food feasta will have lot new stuffs– from screening food documentaries, talks by top food connoisseurs; to cook offs for budding chefs, and all new versions of Grub Stories. And not only this, but to mesmerise the moment with great food and drinks, The Grub Fest will have artists like- Anish Sood, Hari & Sukhmani, Indeep Bakshi, Tatva K, Akhil Sachdeva (Nasha) and Bally Sagoo for all three days, for pepping up the aura with their musical engagements. And, do keep yourself still for more surprises from the world of Sports Entertainment that will be coming down to India to be a part of The Grub Fest.